Dental fillings are a way to restore the teeth back to a healthy state. This is why people need to get dental fillings after they have gotten a cavity. Dentists in Los Angeles say that sweet foods like chocolate are often associated with causing cavities to form. This does not mean that you cannot ever eat chocolate. It just means that you need to be cautious of how much you are consuming because they will cause plaque to develop inside your mouth, which is why it is especially important to brush your teeth at least twice a day. You must remove the layer of plaque through consistent teeth brushing and flossing, so that the bacteria will not eat at your teeth and cause a hold to develop. However, once a hole has developed it is important to see an emergency dentist in Los Angeles immediately for a dental filling. Even if you are not sure whether you have a cavity or not, you should still go see an emergency dentist in Los Angeles; they will tell you if you need the dental filling or not. 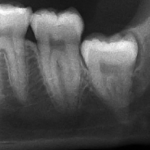 Different types of fillings: White or Silver? 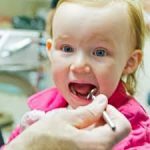 There are many different types of dental fillings that you can get if you ever get in the position of needing a filling. The two most common types of fillings are amalgam and composite. Amalgam is a silver filling and composite resin is a white filling. Amalgam fillings are made of silver, tin, copper, zinc, and mercury. Composite resin fillings are made of tiny pieces of silica with a plastic resin. Amalgam fillings are the traditional type of fillings that have been used for hundreds of years now. With the advancements in technology over the past decades, composite fillings have become more popular among the average person. Although there are studies that show that amalgam fillings are safe, many people are still suspicious about how safe they are. Dentists in Los Angeles recommend white fillings to their patients because it does not contain mercury and less of the tooth needs to be extracted before inserting the filling. Since white fillings tend to be regarded as better than the silver fillings, of course they cost more. Plus, most people do not like that the silver filling. You can contact an emergency dentist in Los Angeles if you want to determine which is better. People often get scared at the thought of getting a dental treatment done on them. They assume that there is going to be a lot of pain involved and that the process will be unbearable. You do not have to worry about this if you look for a good emergency dentist in Los Angeles to help you with the dental filling procedure. They will explain the entire process to you so that you feel comfortable throughout the entire process. They will start by using an anesthetic so that they will not feel pain during the process. He shot is often the scariest part for most patients, so the dentist in Los Angeles will not make you take it if you only have a small cavity. If your cavity is small and you are going to use the composite filling, then the dentist in Los Angeles will most likely tell you that you do not need to use an anesthetic since the shot would hurt more than what you feel from the tooth extraction and dental filling process. Then the dentist will use a rubber dam to keep the tooth that needs the filling dry and free of saliva during the process. After that they will extract the part of the tooth that is decayed. Finally they will replace the decayed part of the tooth with the new silver or white filling. In addition, it is important to let your dentist know if you feel sensitivity in the tooth that you got a filling that persists for more than a few days following the dental procedure in Los Angeles. This is most likely a sign of the filling being too high. If that is the case then you should contact the emergency dentist in Los Angeles that performed the procedure on your tooth to take some of the filling they put in away. If you feel like you might need a dental filling for one or more of your teeth, contact an emergency dentist in Los Angeles to help you with your dental filling and any of your future dental needs.